Acetophenone is a versatile organic compound used in many industries. Pure acetophenone is a colorless liquid. It occurs naturally in chicory but is manufactured commercially from ethyl-benzene. The distinctive characteristic of acetophenone is its slight floral odor – like that of an orange or an acacia. It is denser than water and the vapors are heavier than air. Acetophenone has a flash point of 180 F (82 C). It is a combustible liquid as defined by NFPA 30. What are the Applications for Acetophenone? The properties of acetophenone make it suitable for use as a flavoring ingredient. It is popular for use in fruit flavored products. It is also used as a fragrance ingredient for soaps and perfumes. The U.S. Food and Drug Administration authorized its use for human consumption as an excipient. Another major industrial use of acetophenone is as a chemical intermediate. The solvent properties of acetophenone make it useful for resin and chemical production. Some pharmaceutical processes also use this product. What are the Health Hazards of Acetophenone? Acetophenone has a slight narcotic effect. It can be harmful if ingested in large quantities. In liquid form, it cause skin and eye irritation. Treat these symptoms by washing continuously with water for 15 minutes. Due to the combustible nature of acetophenone, it is subject to chemical storage regulations. OSHA stipulates these in its flammable liquids standard. U.S. Chemical Storage supplies FIRELoc buildings with a 2-hour fire rating or SUPERLoc buildings with a 4-hour fire rating. The higher the rating, the longer the building can withstand the heat of a fire. Use 4-hour fire-rated chemical storage buildings to store acetophenone inside an occupied building. Always store acetophenone in sealed containers, in a well-ventilated space. Its vapors are heavier than air. When released, they sink to floor level and migrate along the lowest surfaces. It is possible for acetophenone vapors to ignite far from the initial source. The flame will then flashback to the storage container. Using mechanical ventilation in your chemical storage building helps prevent this from occurring. Acetophenone should also be stored in a cool location. Climate controlled chemical storage lockers ensure the chemical remains in the ideal temperature range. Contact U.S. Chemical Storage to learn more about storage of acetophenone or to receive a complimentary quote. 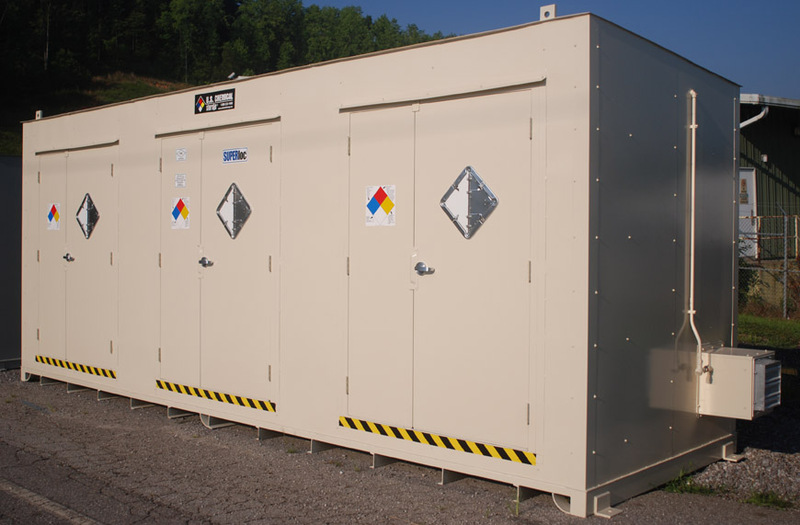 Browse our chemical storage lockers for flammable liquids here.